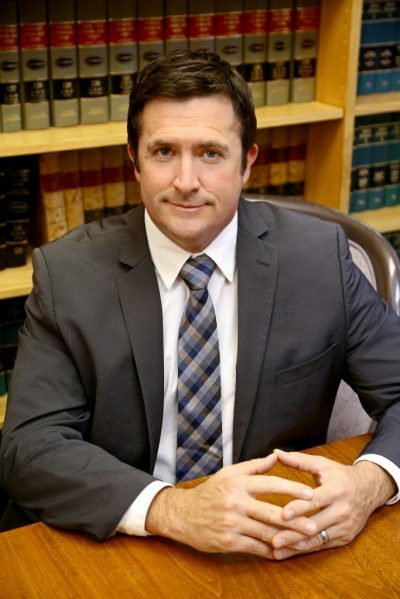 Dan Castille practices in the areas of employment law, school law, civil rights, banking and collections law, business law, commercial litigation and real estate. He is admitted to practice before all courts of the State of New Mexico, the United States District Court for the District of New Mexico, and the United States Court of Appeals for the Tenth Circuit and is a member of the business law and litigation section of the American Bar Association. Prior to joining the Firm, Dan served for over ten years as Senior Bank Counsel at Los Alamos National Bank (LANB), New Mexico’s largest locally owned bank. As LANB’s Senior Bank Counsel, Dan was responsible for litigating and managing LANB’s banking and collections litigation in state and federal court, including bankruptcy court. He represented LANB in negotiating and drafting construction, commercial, real estate and asset-based loan transactions, in commercial loan workouts and restructuring of non-performing loans, in asset sales, and in insurance and all other contractual relationships in a variety of matters. During his time at LANB, Dan provided day to day legal advice on regulatory and compliance issues, and on all issues affecting a business of the size and complexity of LANB. Prior to working at LANB, Dan was an associate attorney at Castille & Ortiz, LLC in a general civil and litigation practice that focused primarily on school law including employment, civil rights, constitutional law, contract, tort and property issues as well as statutory compliance issues. Dan is a graduate of the University of Colorado School of Law (J.D. 2001), holds a M.B.A. and B.A. from New Mexico State University, and is a Western States School of Banking Graduate (2005). He grew up in Los Alamos and Albuquerque. He serves or has served as a board member of the Los Alamos County Labor Management Relations Board (chairman 09-10); the Los Alamos Ski Club, Inc., a non-profit that owns and operates Pajarito Mountain Ski Area; Los Alamos Little League (and as coach); and the Delle Foundation, a philanthropic organization serving non-profits in Northern New Mexico.